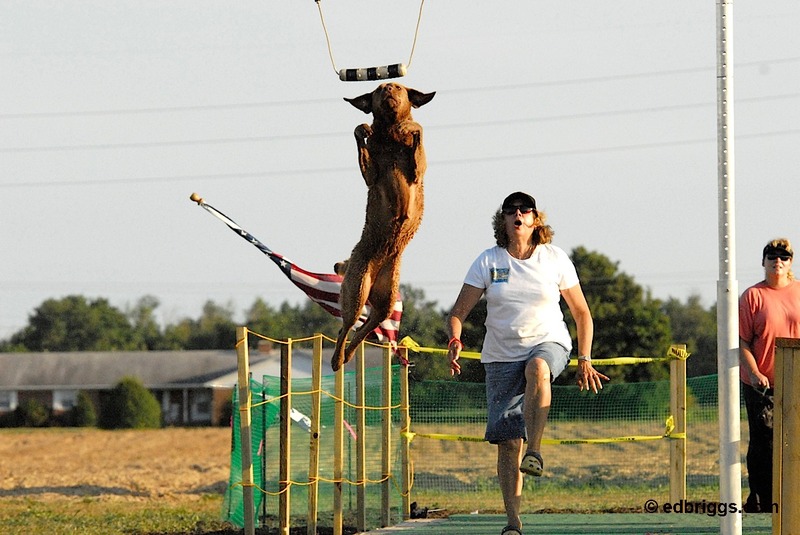 These are amazing canine athletes. 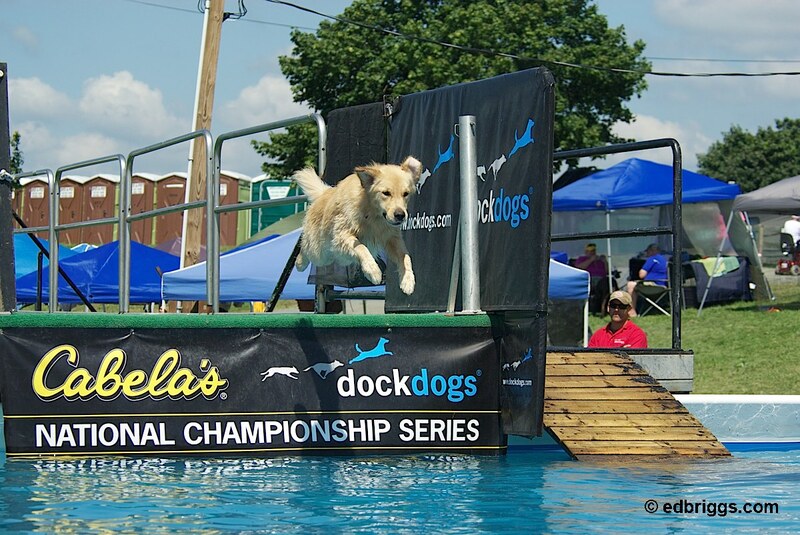 They compete to see who can run down a 40 foot dock and jump the longest into the water. 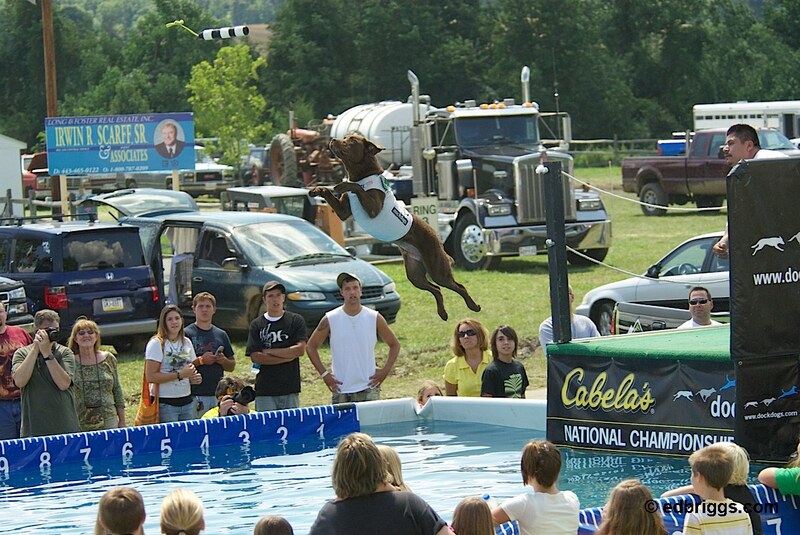 They jump amazing distances – as much as 28 feet and more. 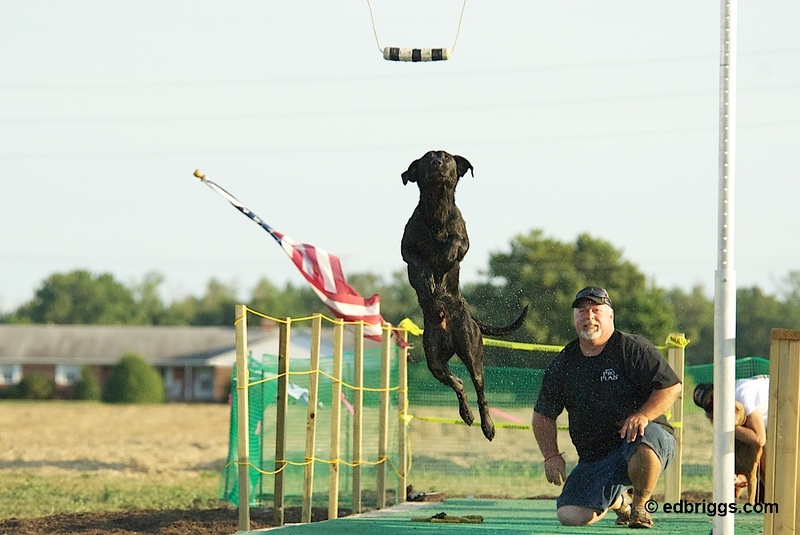 They also compete to see who can jump vertically and grab a suspended toy. 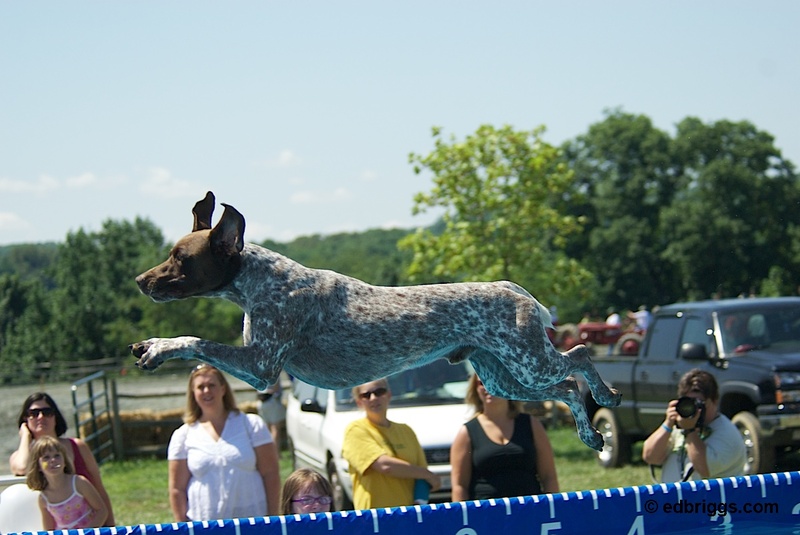 Dogs have exceeded 7 feet of vertical jumping, including grabbing the suspended toy in their mouth. 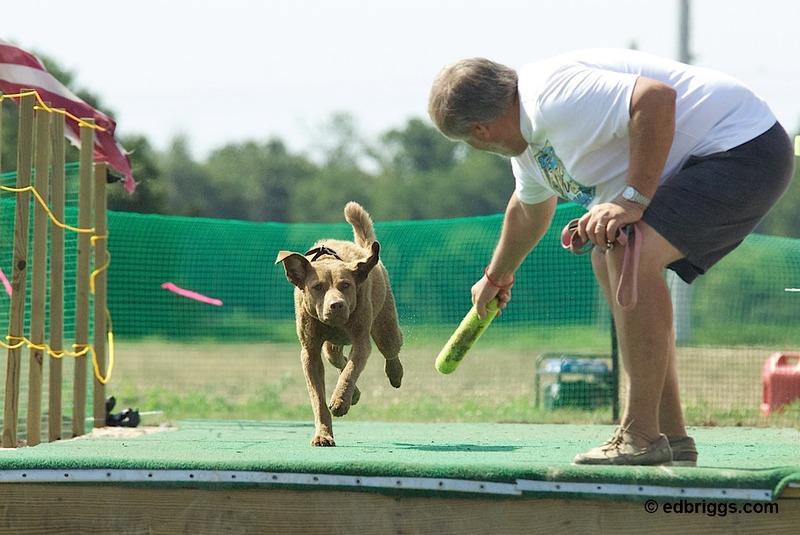 It is great fun to watch both the trainer/handlers as well as the other dogs while the competitions are going on. 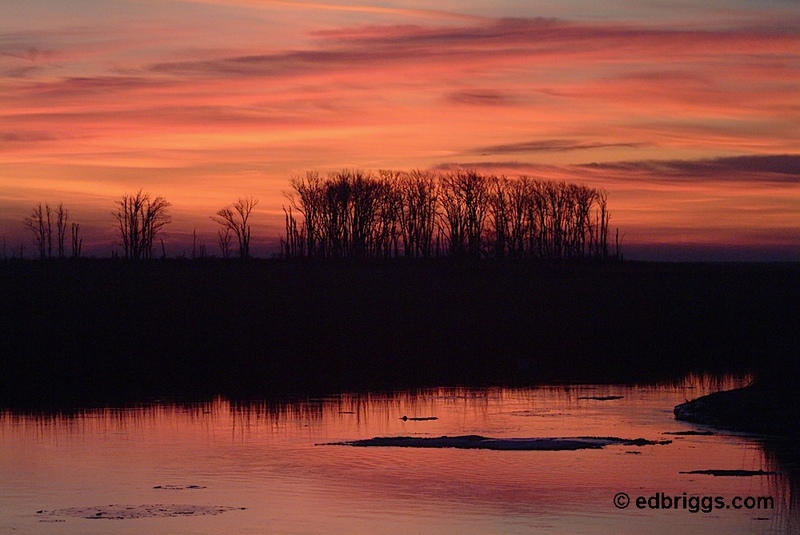 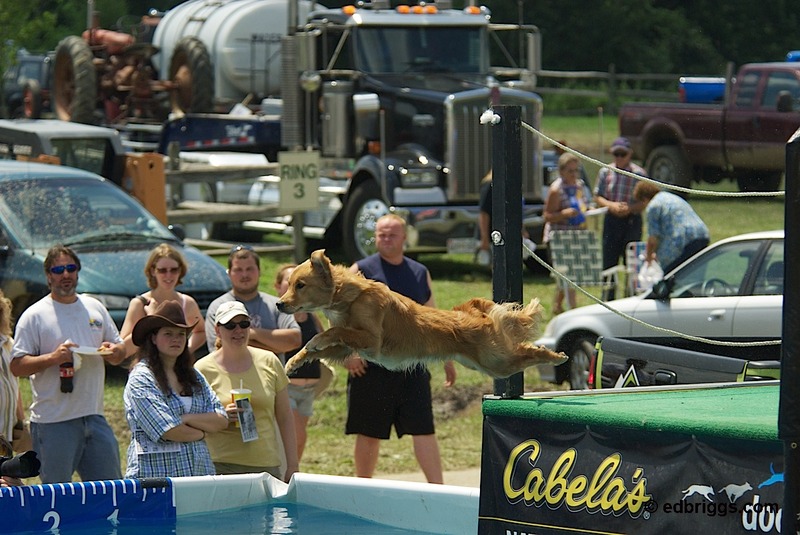 Some of the pictures here will show that. 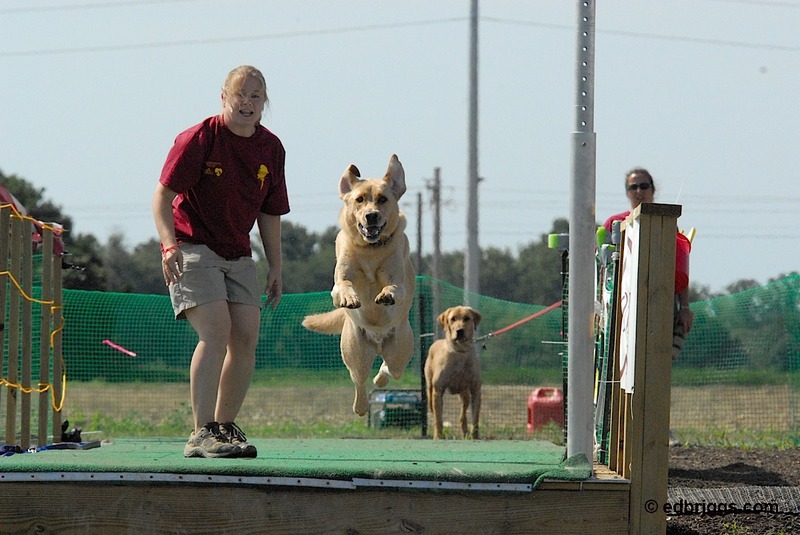 Trainers have their own styles of getting the dogs into their jumps, and the dogs have their own styles as well. 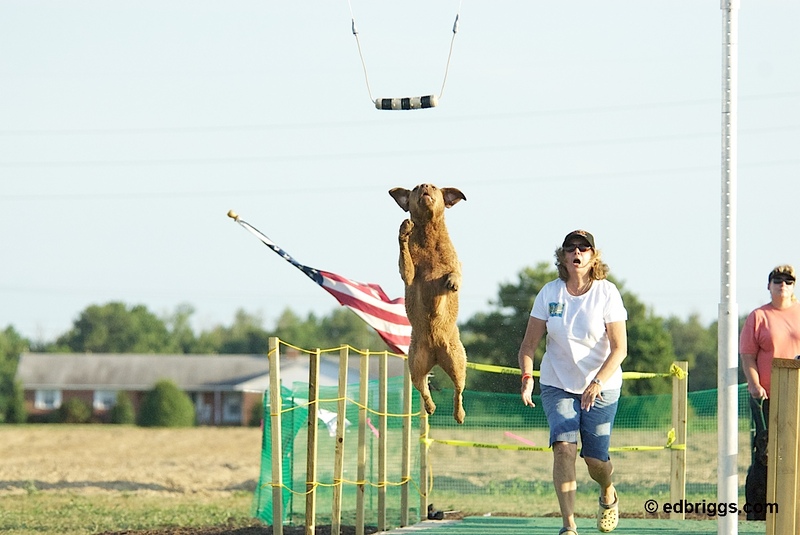 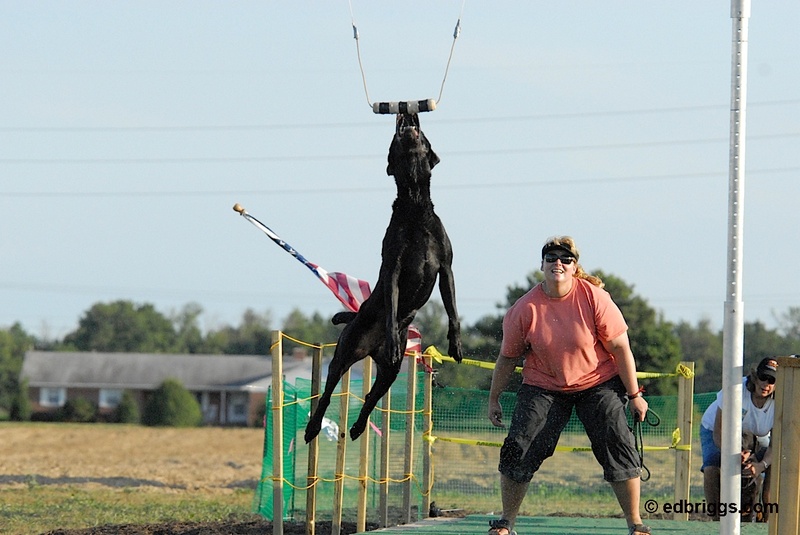 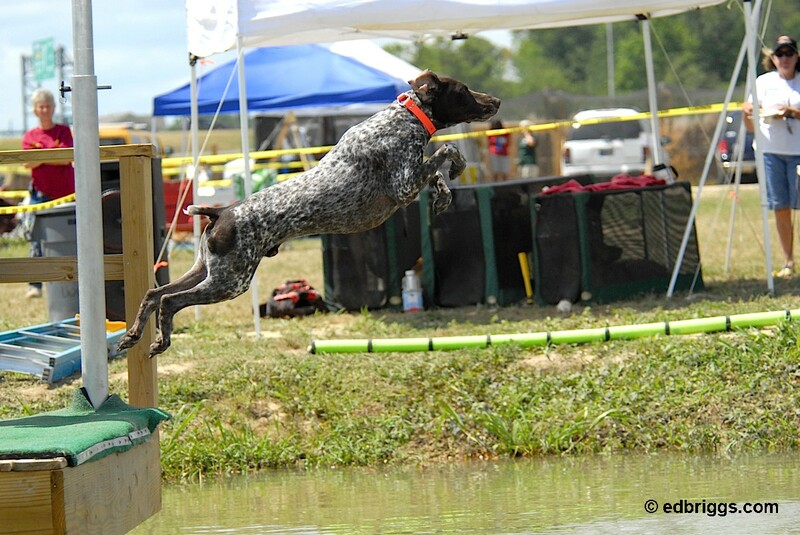 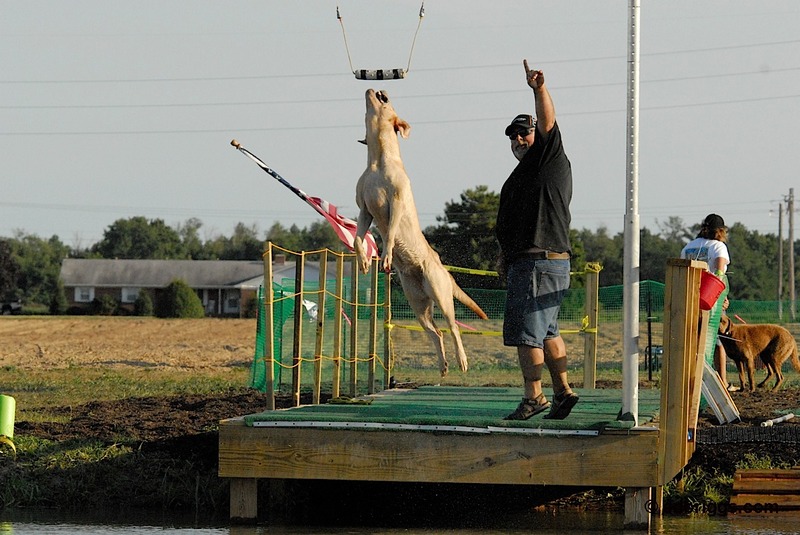 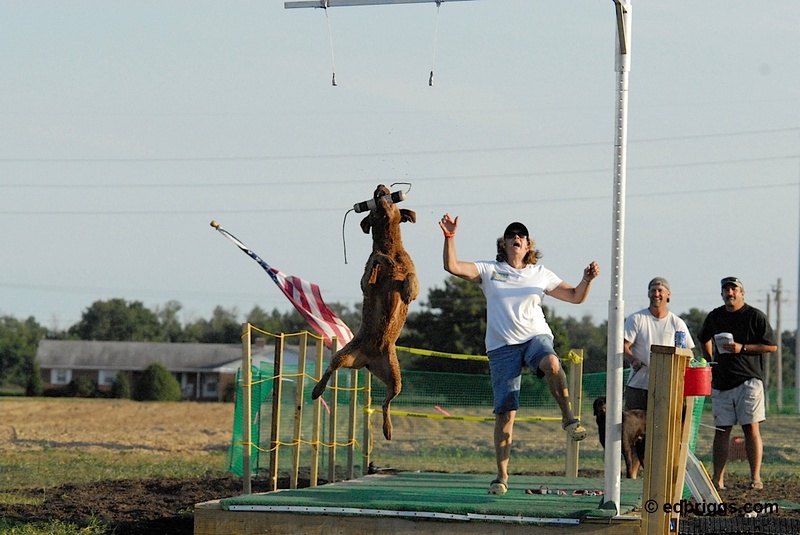 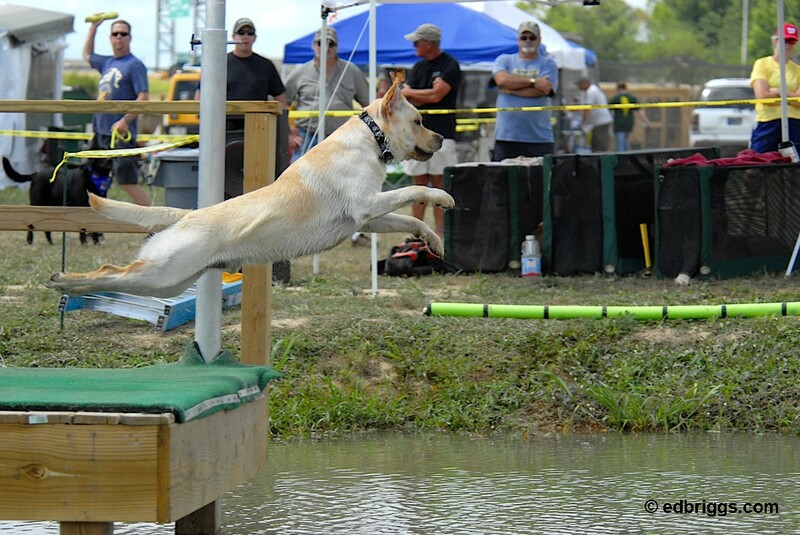 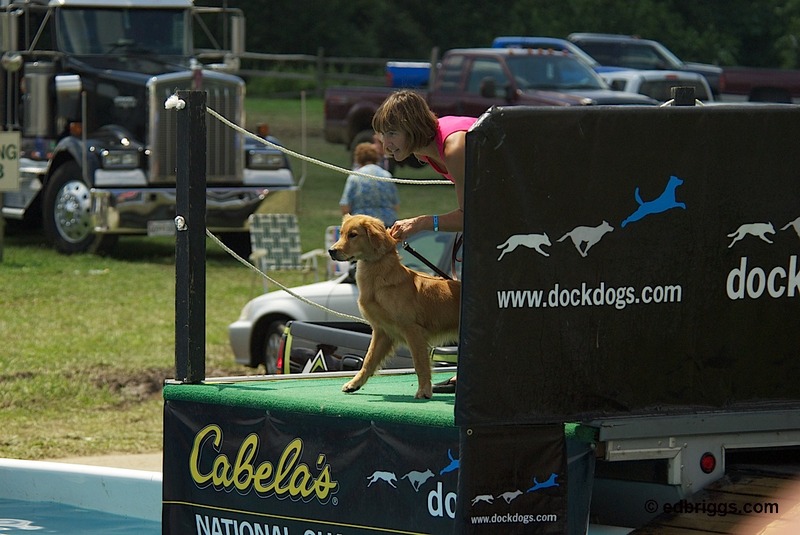 Learn more about dockdogs at their national website.